Pakiri Beach Horse Trekking , Pakiri Beach Wellsford, Auckland New Zealand. Information, Photos and Reviews. 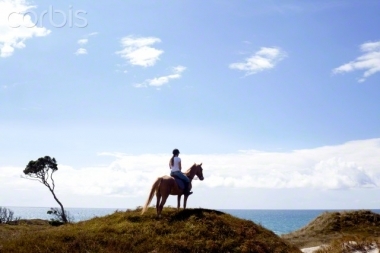 Excellent Horse riding on 14 miles of pristine remote white sand South Pacific surf beach. and over green farmland and native bush.Well loved horses to suit all riding abilities. Friendly experienced guides. A two storied beach house nestled in the sand dunes, 200mtres from the breakers on the shore. Comfortable, private, attractively furnished with all conveniences. At one with nature...watch dolphins, orca, sea birds. Cell phone access. 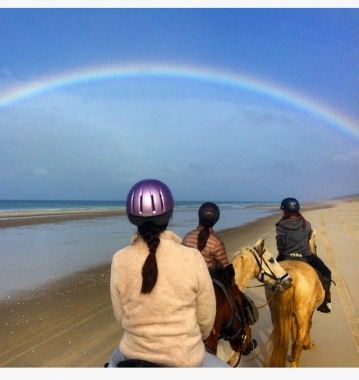 Nobody has reviewed Pakiri Beach Horse Trekking yet, Be the first. You are submitting a booking enquiry. 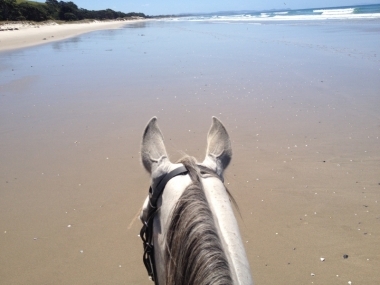 Pakiri Beach Horse Trekking will then contact you by email with details of availability and prices.